Today’s workforce is more skilled than ever, bursting with ideas, and driven to succeed. However, collaboration in the modern workspace can be a challenge. 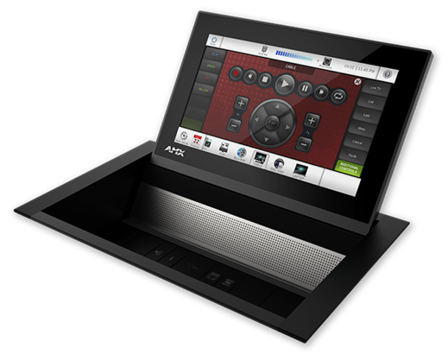 Introducing Acendo, a collaboration product family designed with the IT professional and end user in mind – easy to install, zero programming, and interfaces that behave exactly as you’d expect. 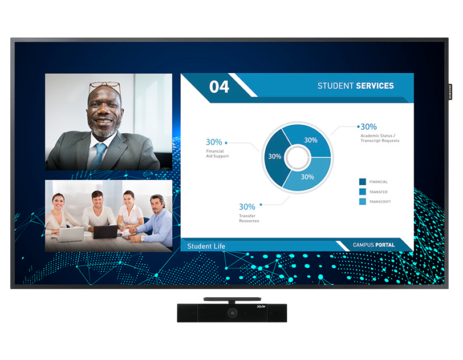 This powerful little beauty delivers a flawless meeting experience with one-click Skype for Business meeting launch, document sharing, web browsing, room scheduling and more. Use Acendo Core in conjunction with an LCD touch screen or wireless keyboard and mouse for a total simple solution, or in conjunction with Acendo Vibe to bring JBL sound to the collaboration space. The first total conferencing sound bar solution designed specifically for the demands and elegance of the modern workspace. Robust JBL speakers and microphones deliver experienced audio, a wide-angle camera catches everyone in the space, and professional features like CEC display control, USB and Bluetooth connectivity ensure an optimized experience. Acendo Book scheduling panels display everything you need to locate and book rooms easily and quickly. Reserve a room, extend a room reservation, or search for an available room nearby, right from the panel. Acendo Book integrates directly into Microsoft Exchange, Office 365, and Google Calendar.